The sink in my hospital room baffled me, the keyboard at the nurse’s station silenced me, then the elevator button pushed me back to reality. My friends, have you ever been jolted by an unwelcome revelation about yourself? This describes the day in the hospital when feeling an elevator button pushed me to understand that I had been very sick and was now blind and sitting in a wheelchair. It was an unwelcome revelation and new beginning I wasn’t ready for, and certainly would not have chosen. Almost 21 years ago I was diagnosed with Bacterial Meningitis, spent 3 months in a coma, and lost all my eyesight and much of my hearing. I was in pain. What was I going to do with my life now? Baseball, golf, friends, school, all the things I used to do now seemed impossible. A scared little boy was praying and hoping for a future that had never seemed more unpredictable. I lay helplessly in bed day after day, night after night, crying myself to sleep wondering what I was supposed to do with my life now. Friends, family, my almighty God, and people I didn’t even know were praying for me and telling me that there was hope, there still was a purpose and place for me in this world. At that moment I couldn’t imagine what that might be, but however bleak things looked at the time, I was determined to press forward. Now 21 years later as I sit at my computer writing this, I’m still totally blind and hearing impaired, but am also a college graduate and an inspirational speaker. 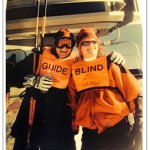 I am still blind and hearing impaired but have resumed snow skiing and also am now a triathlete. Most importantly, I have developed a growing and healthy hope for the future. Yes, things are still difficult and challenging each and every day as I learn to live in the present. There is a beauty and power in the present. I am so grateful to be able to compete in triathlons, inspire others with my speaking, and enjoy my wonderful friends and family, but I am also thankful for the process, the steps and faith that have helped me get to this point. Friends, each and everyday we have a choice to make as to what kind of day we want to have. 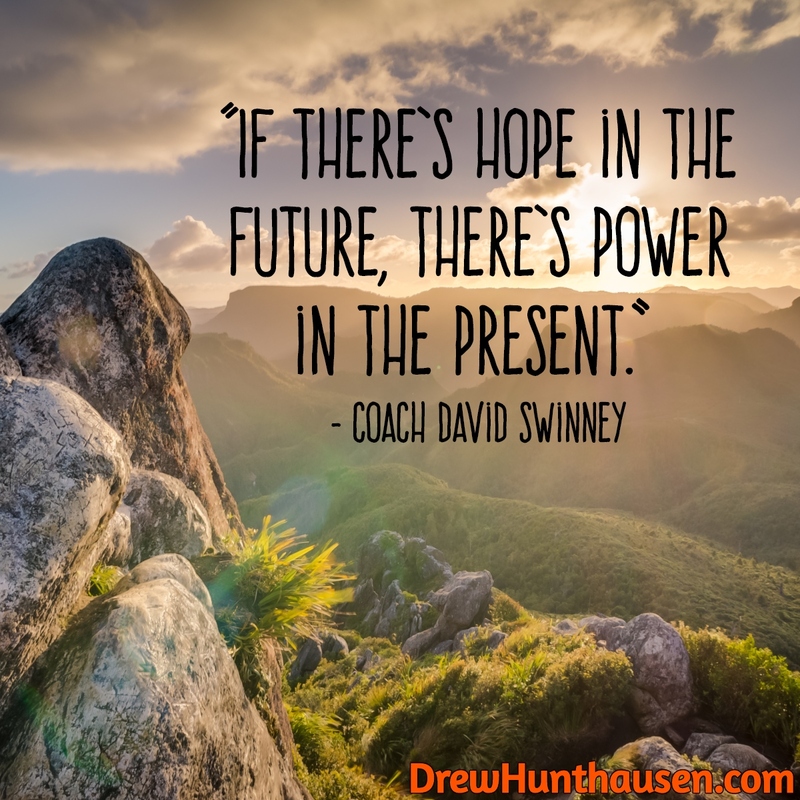 It is very important to hope and plan for the future, but the process in becoming great is more in the moment. The hope that is in your future comes from the work and steps you take today. It’s in the power of the process you put in motion each and every moment of the present. It’s called the present because it is a gift! It’s not always going to be easy, but when you can learn from the past, plan for the future, but live in the present, only the best is yet to come! !